This jacket! It had me at the ruffles in the back. There is something about a leather jacket - when you put it on, you feel a little different. This outfit is a little edgier than I typically wear, but sometimes you need that, right? I wore this jacket out on a date night with the hubs over the weekend. A leather jacket is just right for a night on the town! 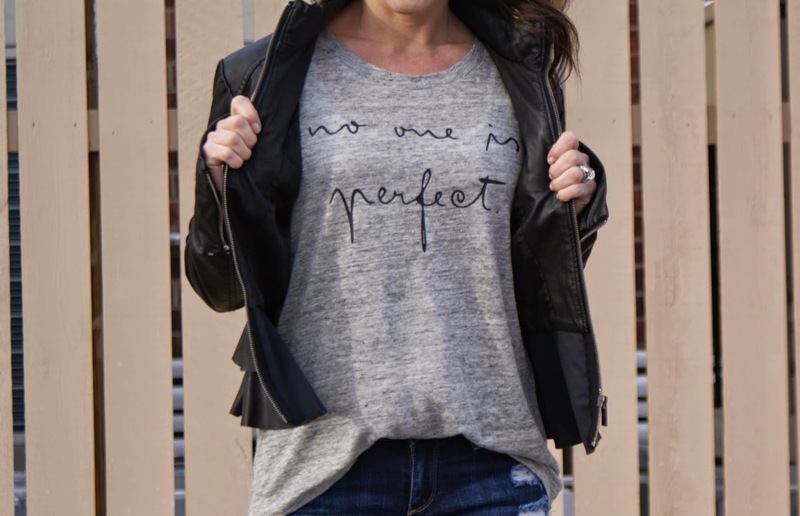 I adore a fun graphic tee and the message on this one is "perfect" (haha).